Fortnite battle royale android release date hasn’t officially announced by Epic games, But a lot of rumors about fortnite release date is spreading rapidly. In fact, it’s almost a trending topic as of now. fortnite battle royale created a trend in Ios market. Now it’s stepping to android market as well. 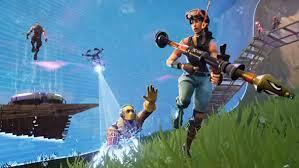 According to sources fortnite battle royale has generated around 2 million dollars per day continuously for the 10 days of season 5. Users of fortnite battle have spent over $150 million on app purchases and its rising every day. Revenue generated by fortnite battle royale is insane. It’s a very popular game now. This app creates a hell lot of addition to its players. fortnite battle royale for Android is in a testing phase. It is arriving this summer to all android devices according to some sources. A recent report this week mentioned that, fortnite battle royale for Android is going to roll out for a single device at first. Samsung is planning to release its latest Android smartphone, Samsung Galaxy Note 9 on Aug 9th. Fortnite battle royale android release date is soon after this event. However, fortnite battle royale android release date is actually a bit late than expected. You may not expect before this September. Samsung has a gameplan to attract customers. Samsung is planning to attract fornite fans by giving V-bucks rewards to the customers who pre-orders. For non-fornite fans who pre-orders the phone gets wireless headphones as a goodie. Epic games have told that they will release fortnite battle royale for Android in summer 2018. This would give them till September. All are eagerly waiting for this time. Epic games have to face a lot of challenges after the release. When the android community embraces the game, they have to deal with a lot of technical challenges like server traffic spike, and maintenance. Epic games have to make a lot of preparations before the launch of the game to Android. They have to work on game server loads and other technical stuff. A lot of fans are waiting for fortnite battle royale android release date. Hope Epic games release the game early and bring a smile to its fans faces. Thanks a lot for your time, Please Like the page and share with your friends.